South Sudan – Sunday is not just a day. This story is about Sunday the man. Sunday grew up in refugee camps as a Sudanese orphan. Camp life was very difficult and as an orphan, and especially a Sudanese orphan, he had to figure out how to support himself in another country. The culture and language were different and people often never thought of others and were consumed with trying to survive. Sunday felt like he was the scum of the earth, and that is how he thought about himself. When he was a bit older, maybe 13, he left camp life that was too difficult only to find that city life was sometimes even worse. A pastor in Kampala City in Uganda found him destitute and offered him a helping hand and counsel. It was not much, but Sunday was given some food, counsel and provided some education. Sunday believed he would never become anybody significant because he believed he was nobody significant. The pastor taught him that he could have a position in Christ. He could be a child of God and learn and have a new identity. Sunday could not believe that could ever happen to him. But as he grew in relationship with his new community and the pastor reinforced that Sunday had potential, he went along for the ride. It was time for him to move back to his own country, South Sudan, and the pastor bought Sunday a ticket to fly back with Mission Aviation Fellowship. Sunday had only seen these planes in the sky, and so, when he went up into the sky himself, he was terrified that he would fall out of the sky. This experienced changed his life, though, and God used it to move him forward in faith. He realized that if he could fly in the sky, he could do anything—and be anybody that God wanted him to be. He finally grasped his identity in Christ as a child of God and brother of Christ and all its benefits, and he shared them freely with others. It was difficult in South Sudan for Sunday but he, as a humble servant of Christ, just helped people and orphans; and the community noticed that Sunday was a spiritual leader. Sunday is now a bishop and serves thousands of people. This may sound devastatingly negative, but Sunday serves beside Avant Ministries. 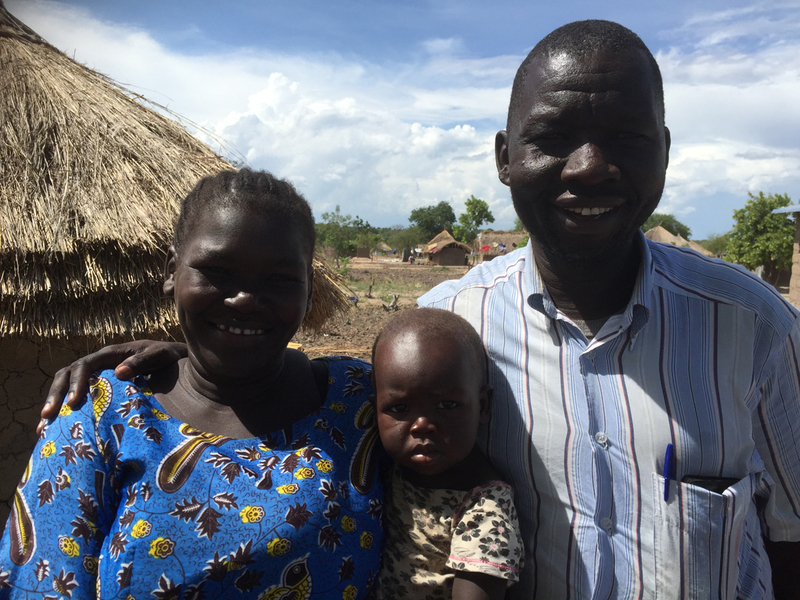 He serves South Sudan within the context of Short Cycle Church Planting in the refugee camps promoting health, peace, and spiritual vitality. Gordon and Sharon Skopnik (Wymark) serve with Avant Ministries. Sunday’s story is told with his permission.